When I drive, not only do I watch the road, but I tend to look around too. A person never really knows what they might see. Those driving fast often miss seeing the little things that make our landscape interesting. 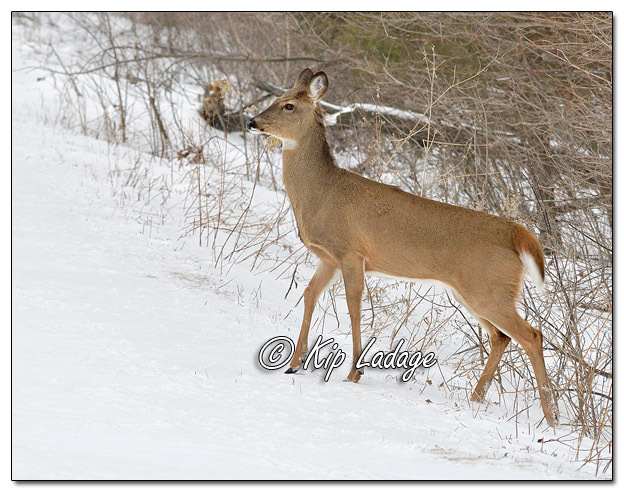 We are blessed to have plenty of wildlife out and about, even during the winter months. Today was one of those days when I saw birds and mammals without exerting much effort to find them. 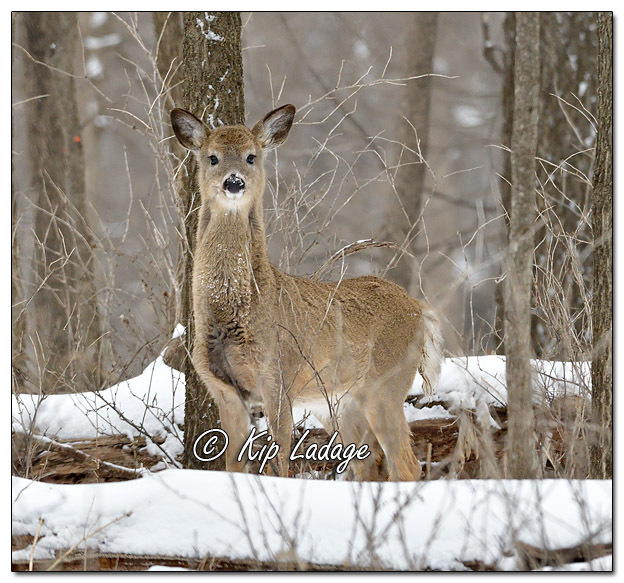 Whitetail Deer – It was a good thing I was watching for deer as I drove in timbered areas. 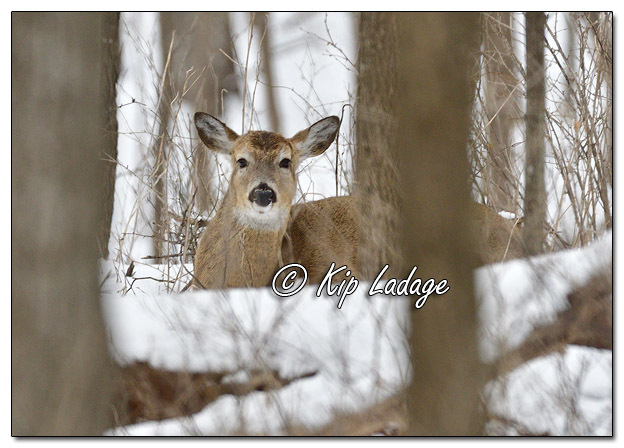 I saw them bedded, thinking about crossing the road, and actually taking their chances to dart in front of me. 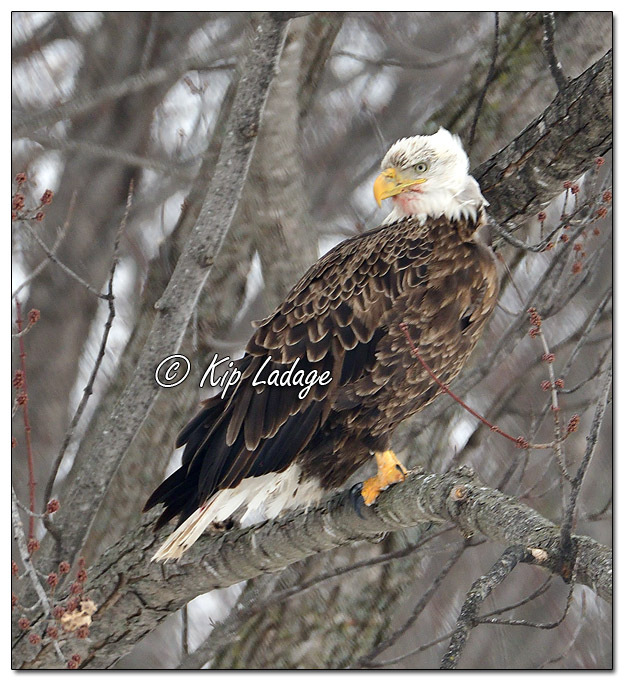 Bald Eagles: The eagle courtship season appears to be in full swing. 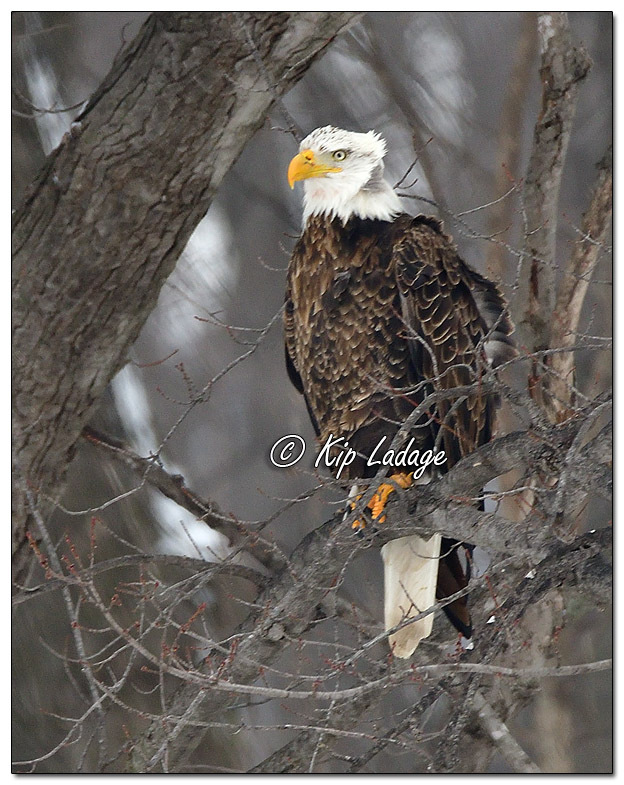 In one spot that happened to also have a dead raccoon nearby, I saw seven bald eagles – two juveniles and five adults. 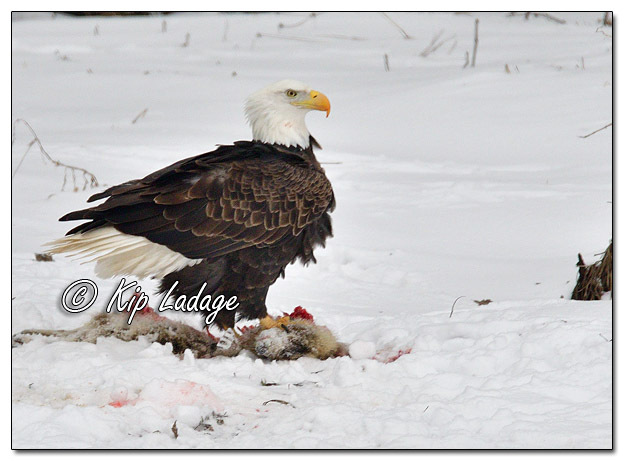 From what I could tell, the raccoon may have been fresh since several eagles were sporting dabs of blood on their white feathers and beaks. 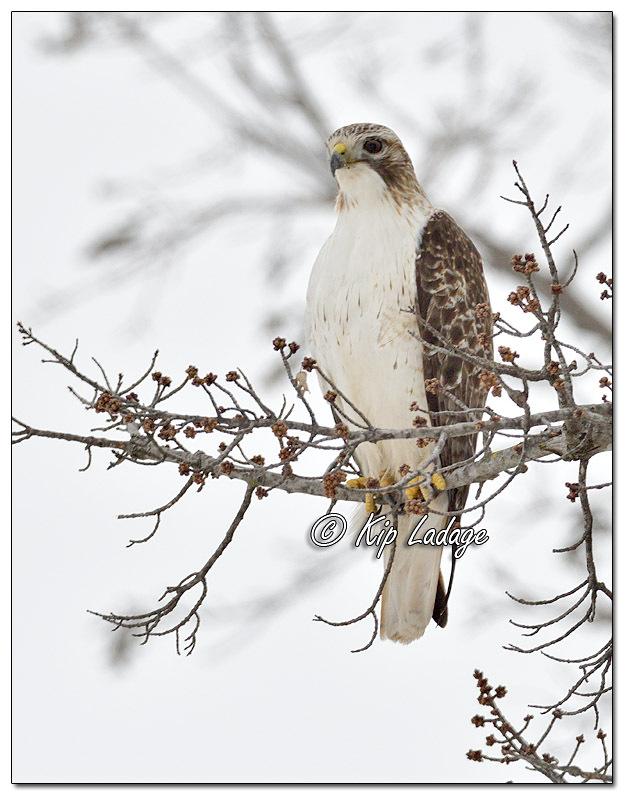 Red-tailed Hawk: This red-tailed hawk was on perch on a branch hanging over the road. 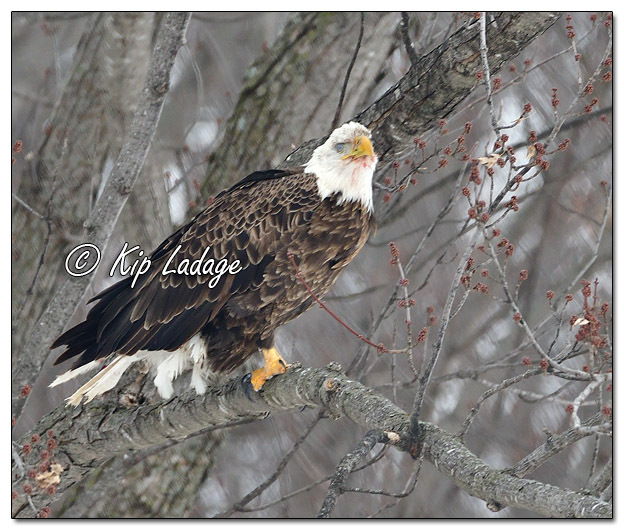 When the hawk did not take flight, I shot some pictures before continuing on my way. 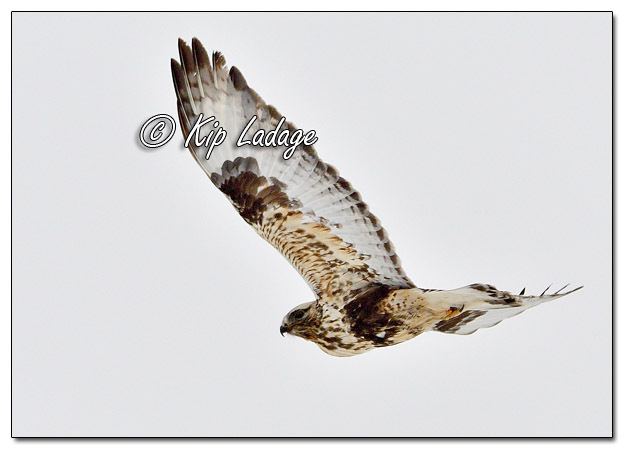 Rough-legged Hawk in Flight: Unlike the red-tailed hawk that remained on perch, this rough-legged hawk took flight near me. 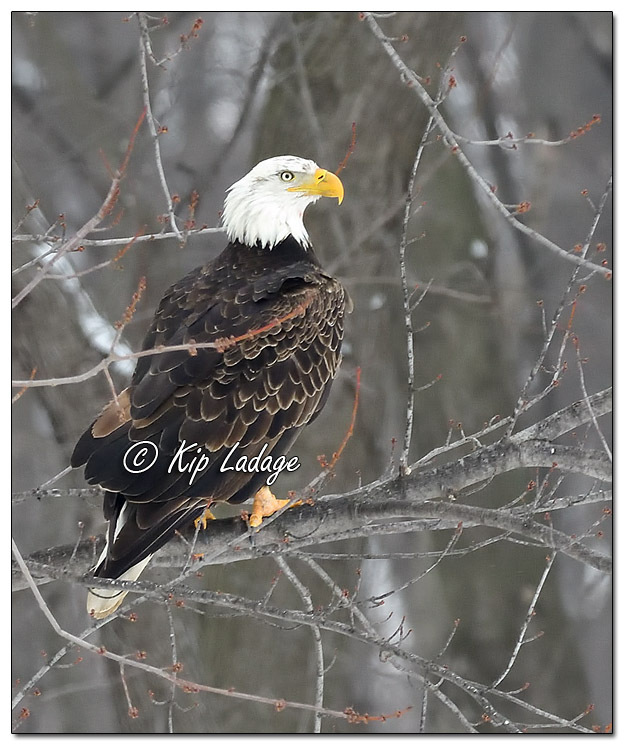 Fortunately I was able to capture an image or two of the bird in motion. Opossum in Whitetail Deer Rib Cage: A slick road meant I was not traveling very fast when I spotted this opossum that had crawled deep into this whitetail deer rib cage. My best guess is whatever meat remained inside the rib cage was frozen solid. 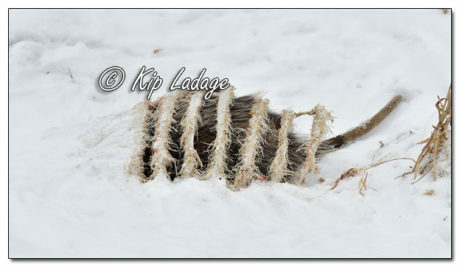 Apparently this opossum was hungry enough to risk exposure to gnaw on the remaining morsels of whitetail.